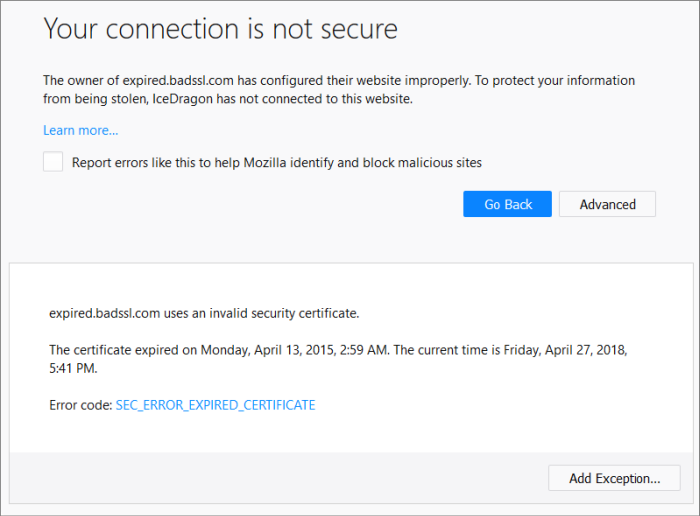 IceDragon may show this message when there are problems with a website's TLS/SSL certificate. You are advised not to visit the site in question, especially if you plan to submit confidential details such as login information or personal data. The 'Add Exception' dialog will open. 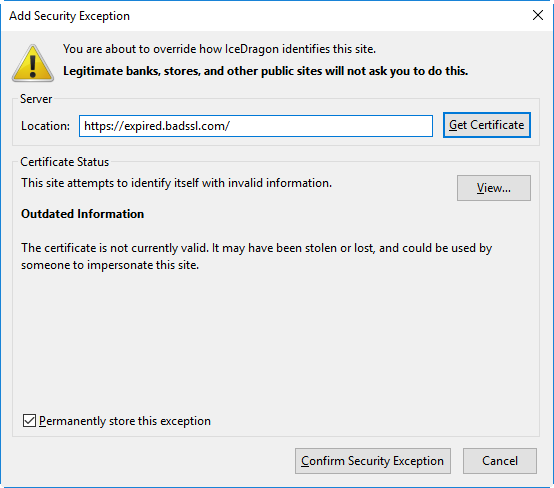 Click 'Confirm Security Exception' to apply your choice.